The New Geekvape Aegis Legend is constructed with the unique magnesium alloy material, which is super light and even can float on the water. Powered by dual 18650 batteries, the Aegis Legend fires a maximum output of 200W. The Aegis Legend works with an upgraded AS Chipset, bringing stable performance and powerful output. The Geekvape Alpha comes with 4ml juice capacity and 25mm diameter. 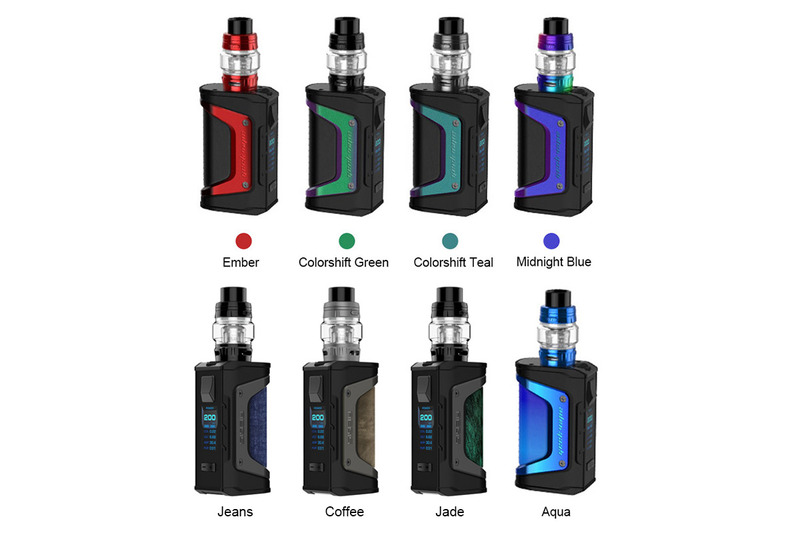 Wismec Active Kit with Amor NSE Tank adopts the innovative Bluetooth technology, it can serve as a vape kit and a speaker. Moreover, the stylish vape mod designed to be water resistant and shockproof, the masterpiece is now born and combines with built-in 2100mAh battery 80W output power. Shipping method please check here for details.